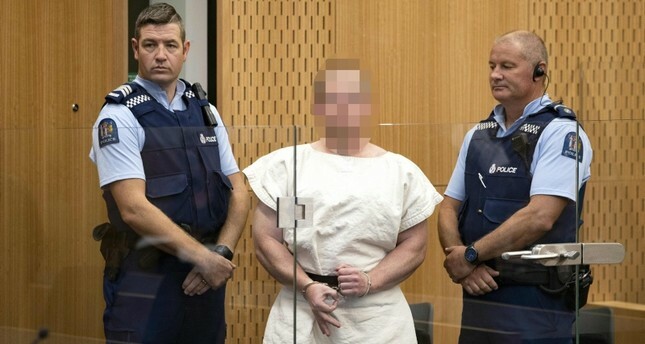 After being identified as the perpetrator behind last week's terror attacks in New Zealand, Turkish intelligence officers revealed Brenton Tarrant's recent travels and are now trying to identify all of the locations he visited. The 28-year-old Australian terrorist traveled to Turkey multiple times and spent an extended period of time in the country some three years ago. According to a report in the Yenişafak, Tarrant traveled to Ağrı, Ankara, Edirne, Sivas, Mersin, Tokat, Istanbul, İzmir and Konya during his visits to Turkey on March 17-20 and Sept. 13-25, 2016. His motivation or purpose of visiting these provinces is unknown yet. While Tarrant went to three of Turkey's biggest cities – Istanbul, Ankara and İzmir – he also visited central provinces such as Sivas, Tokat and the northeastern Ağrı province. This has raised questions about his intentions, because those destinations are not very popular among tourists. Intelligence units formed a special team that are examining the terrorist's route and people that he may have contacted along the way. Security sources also started to reinvestigate two terrorist attacks that occurred in Istanbul during the time Tarrant stayed in the city. Officers presume that Tarrant was tracing some of the popular anti-Ottoman figures during his visit in the central provinces of Tokat, the Süperhaber website reported. For example, Tokat Castle is believed to be where Vlad the Impaler, best known as Count Dracula, was imprisoned in the early 15th century by Ottoman Sultan Mehmed II. Known for his cruel habits including impaling his victims as punishment, Vlad the Impaler fought many times against the Ottoman army in the Balkans. It is believed that he once impaled 20,000 Ottoman prisoners. Earlier reports noted that Tarrant traveled to Asia and Europe between 2009 and 2011 when he worked as a personal trainer. Portugal, Spain, France, Bulgaria, Afghanistan, Pakistan, China and North Korea are among other countries he visited, according to Yenişafak's report.